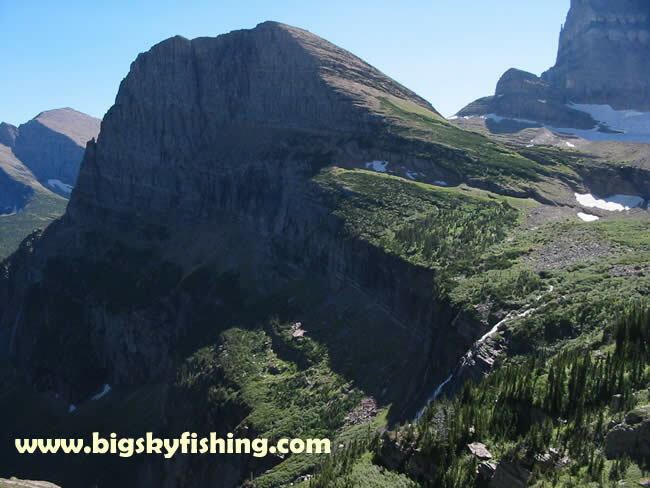 Angel Wing is a small, but rather towering peak, that rises dramatically above Grinnell Lake. Angel Wing is a popular off-trail hike for hikers who have reached the Grinnell Glacier and want to get a more towering view of the area. Mountain goats can frequently be seen traversing the steep slopes of Angel Wing - so bring your binoculars.